This model is 185 cm and wears a size M. Their chest measures 99 cm and the waist 79 cm. 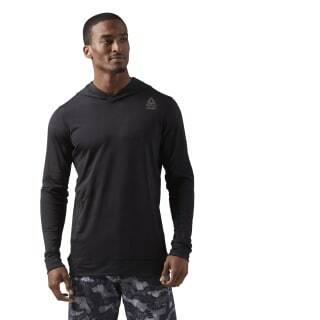 Integrate functional fitness into every aspect of your life with our CrossFit men's hoodie. 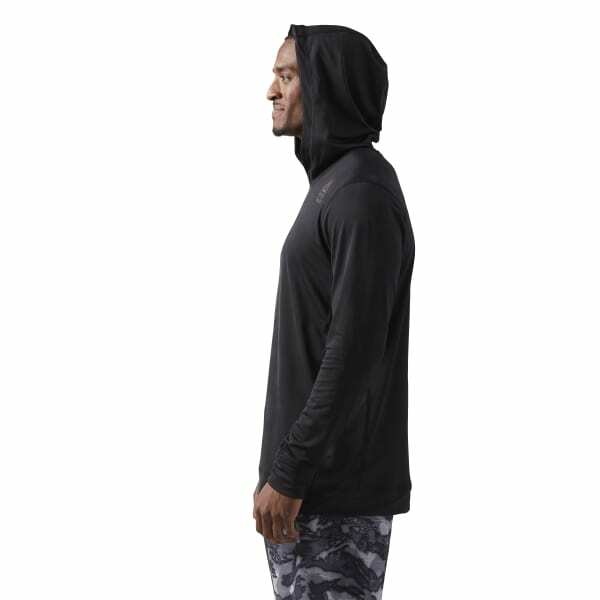 The sleek cut delivers an athletic look, and the attached hood comes with a drawcord. We built in airflow by adding mesh details at the back. The two-tone camo design captures the eye.